The history of tugboats and their crews is written large through the stories of the characters, of cheeky 'kisses' on a Queen's hull, of convenient collusions but also rivalry so intense there was more than a touch of skulduggery afoot. It is a history of make-do ingenuity when things didn't quite go according to plan, coupled with unparalleled seamanship and bravery in weathers that would wreck much larger ships. It is also the story of river tugs stranded by receding waters miles inland in times of drought, as well as men (and sheep) pitched overboard on stormy shorelines. 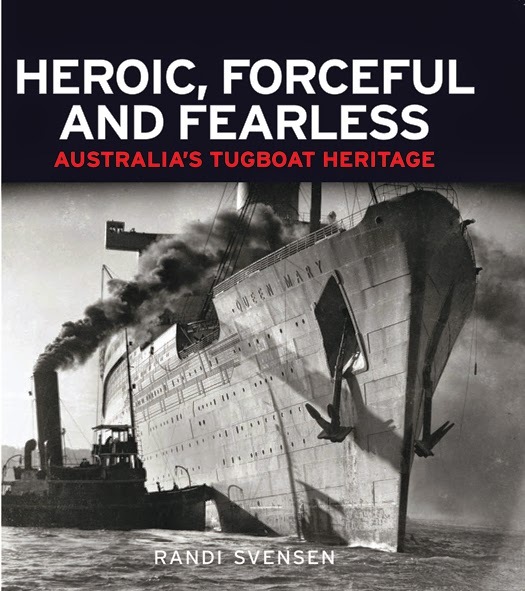 Randi Svensen is also the author of Wooden Boats, Iron Men: the Halvorsen Storyand A Changing Tide: the History of Berrys Bay (to be published in 2017).